Will your Smartphone get Android 4.4 KitKat Update? When bored with their Android phones, most people try a third party launcher like Nova, Apex launcher, etc while a few users root their Android which opens a flood gate of options for a new experience. Some of the High end users will now have the option for updating to Android 4.4 KitKat, which apart from a overhauled UI sports some necessity features like support for printers, support for less resourceful phones, and much more. The Nexus 5 will feature this new O.S. out of the box and other Nexus devices including Nexus 7, Nexus 10 and Nexus 4 will also receive this update in the coming weeks but these new updates won’t give you the full KitKat Experience as in Nexus 5. The cool KitKat launcher which launches Google Now when you say “OK Google” won’t make it to the other nexus devices. The Samsung Galaxy Nexus won’t get KitKat update either. The reason for this is not official, but it might be due to tech issues with old OMAP chipset in Galaxy Nexus. Also it lies outside the 18 month purview for promised Android OS updates by Google. Sony has announced its Road Map for phones which will see KitKat OTA update. These include Xperia Z, Xperia Z1, Xperia Z Ultra, Xperia Tablet Z and Xperia ZL. Many of the Xperia devices are not yet done with Android 4.3 KitKat update and thus if you own one of these smartphones, you won’t be seeing a KitKat update on it anytime soon. Android 4.4 KitKat support will soon roll out globally for LG G2, the new flagship phone from LG. The HTC One along with its various variants will also soon get the Android 4.4 update in three months or less. The roll out expect to start after the mid of January 2014. There is no word on the Android 4.4 update for LG Optimus G Pro and LG Optimus G as of now. 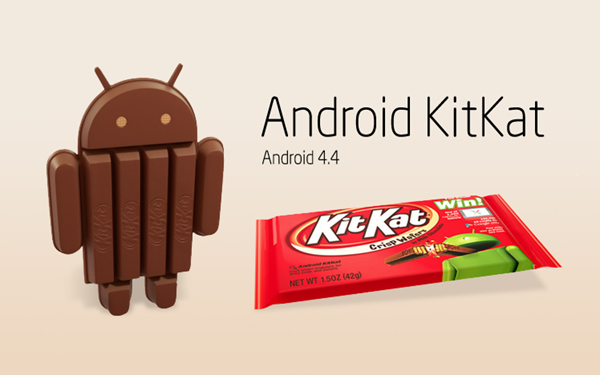 To reduce the fragmentation in Android eco system, Android KitKat is light weight and can even work with 512 MB RAM. But will we see this phone in more budget devices soon? That doesn’t seem likely for quite some time. If rumors are to be believed, Micromax might also provide KitKat Update for Micromax Canvas HD, Which sold like hot cakes earlier this year. Ofcourse, the developer community will also take care of popular phones not getting official Updates. If you wish to check for how to get OTA updates, you can read our tutorial on OTA updates and how to install them. I have iBall andi 4.5Q. I want to know that, is there is any method from which I can upgrade my phn from jelly bean 4.1 to jelly bean 4.2. One more thing I already taken confirmation from customer care in this regard but they told at present there is no update, but I want to upgrade it so plz give me ur valuable suggestion in this regards. In last is this is possible I can roll back it to its original position after upgradation of OS. You cant upgrade until you get a update pushed by parent company, but there is another way to rooting which might help but we dont have any info on it how to do it, so you better use google search for the same.